For over thirty five years we have been manufacturing our own special blend of oil painting cleaning fluid. This artwork cleaner is unique as it is the only oil painting restoration product that can be safely used by anyone. You don’t have to be a professional art restorer and have years of restoration experience to use it. 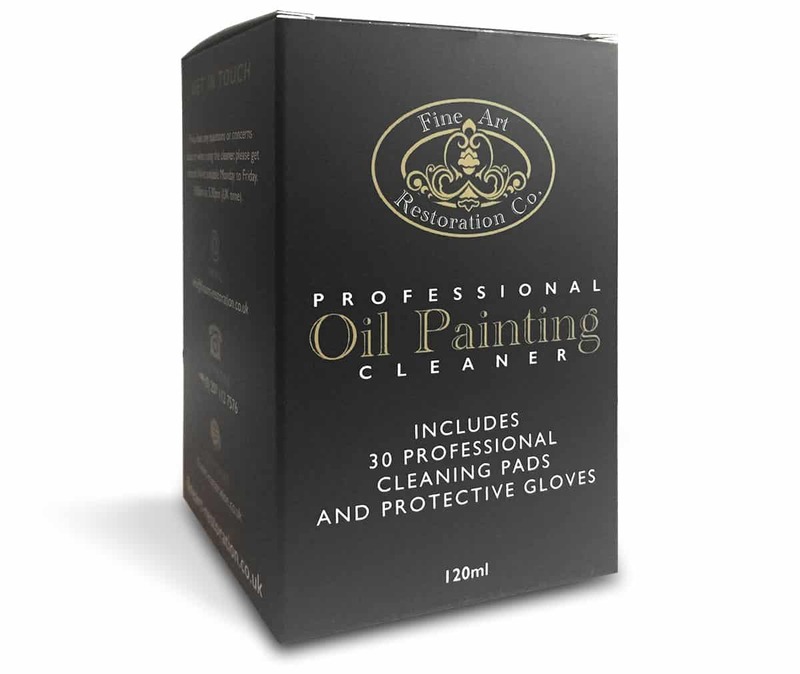 Initially, we created this product for our museum and church clients, it was a straightforward way for untrained staff to clean and protect the oil paintings under their care. Over time the popularity and reputation of the cleaner has spread and we now supply it to thousands of private individuals and institutions worldwide. The kit includes a 120ml pot of cleaner, 30 cleaning pads, a pair of protective gloves and instructions. Any questions – please visit our FAQs page.